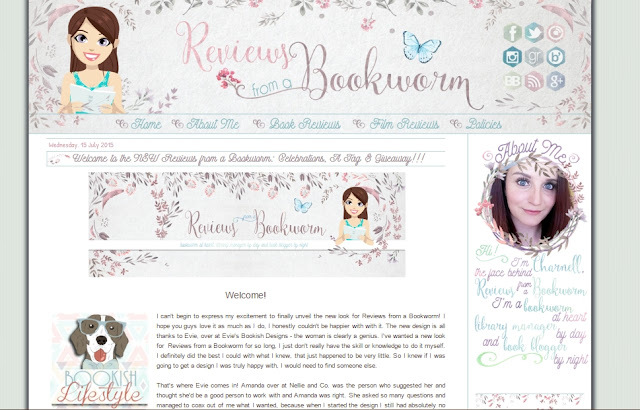 When Charnell over at Reviews from a Bookworm approached me about re-designing her blog, I knew this would be a fun project! At the time, I just invested in a bunch of really high-end designer fonts, and I was itching to use them. I also fell in love with watercolors and couldn't wait to try and incorporate them into this design. I think it turned out really beautiful and can honestly say this is by far my favorite re-design! (I mean, I love all my babies, but this one is my favorite kid, but shhhh.. don't tell the other ones!). I think we managed to achieve just the perfect blend of pretty, girly, professional and easy to navigate, which is exactly was I was going for. The vector was custom designed and drawn by me. I really hope you guys like it as much as I do! Also, be sure to stop by Charnell's blog - not only is she a really wonderful, cheerful and fun person, she also has a fantastic, popular blog with tons of awesome content! 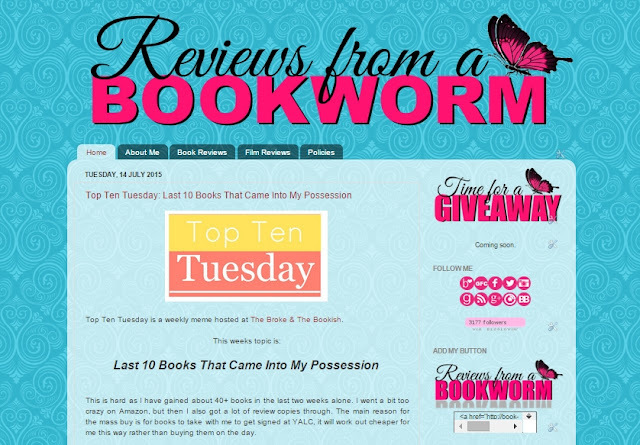 She is even hosting a giveaway to celebrate her 3 year blogoversary, her birthday and the new design - and there is a fun book tag to go along with it, too! All graphics are property of Charnell from Reviews from a Bookworm and can not be copier or reproduced for any purpose. Now, let's celebrate! Here's a giveaway for you lovelies!